We are proudly certified as a Zero Waste to Landfill manufacturer by GreenCircle Certified, LLC., a prominent third-party certifier of environmental claims. We are the first commercial flooring manufacturer in the United States to achieve this landfill free status and the first company in the industry to have its waste diversion efforts audited and verified by a recognized, third-party certifier of environmental claims. Over the years, through effective reuse, recycling and repurposing methods, we have significantly decreased the amount of waste that we directly send to local landfills. This long-standing initiative concluded in August of 2014 when we officially stopped sending any material directly to the landfill. Any waste at our Dalton, Ga., campus that cannot be recycled, reused or repurposed – approximately two percent total waste – will be sent to Covanta, the country’s largest energy-from-waste operator. The waste received by Covanta will be converted into energy to help provide steam power to the Redstone Arsenal, a U.S. Army garrison that services a number of tenants including the Army Materiel Command, the Missile Defense Agency of the Department of Defense and NASA’s Marshall Space Flight Center. To further demonstrate commitment to waste diversion, we selected GreenCircle to verify our waste diversion process. This certification included a material flow analysis of our Dalton campus as well as a review of our downstream material management organizations receiving our recyclable waste. 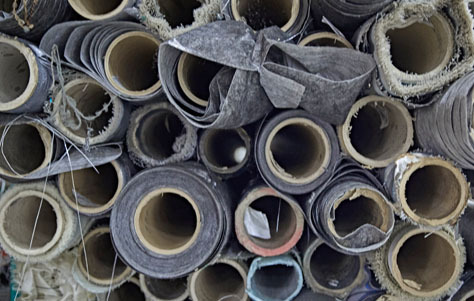 After extensive verification of the processes, sources and procedures, GreenCircle awarded J+J Flooring Group a Zero Waste to Landfill Certification.